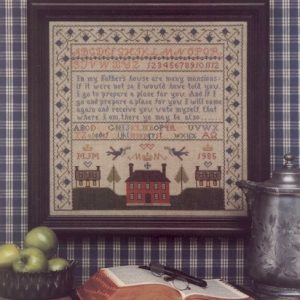 View cart “Bless This House Sampler Leaflet for Counted Cross Stitch” has been added to your cart. 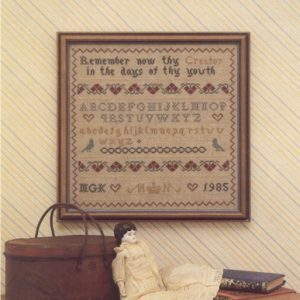 7” x 5” Original Design by Margaret McKee Huey. 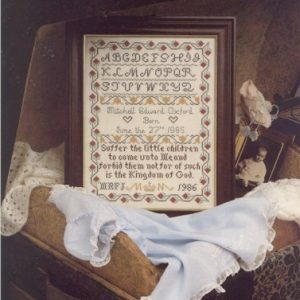 The “Angels Over Thee Pillow” is an original design by Margaret McKee Huey. 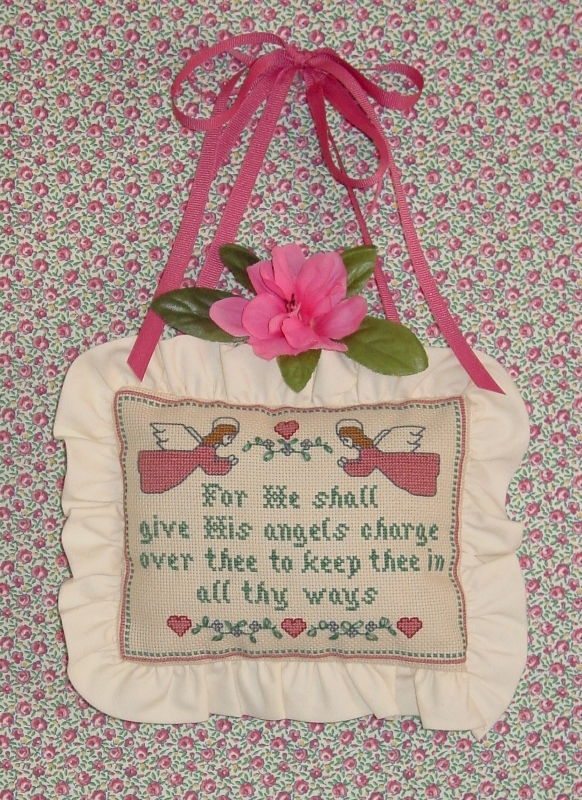 The verse comes for the Bible, Psalm 91:11 (KJV) and reads “For He shall give His angels charge over thee to keep thee in all thy ways.” This Pillow goes with our #35- “Angel Birth Sampler.” It is stitched on 18ct beige aida. The colors are rose, green, blue and gold. 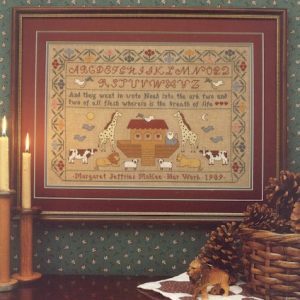 Kit includes 18ct aida, color picture, full instructions, needle and DMC floss.